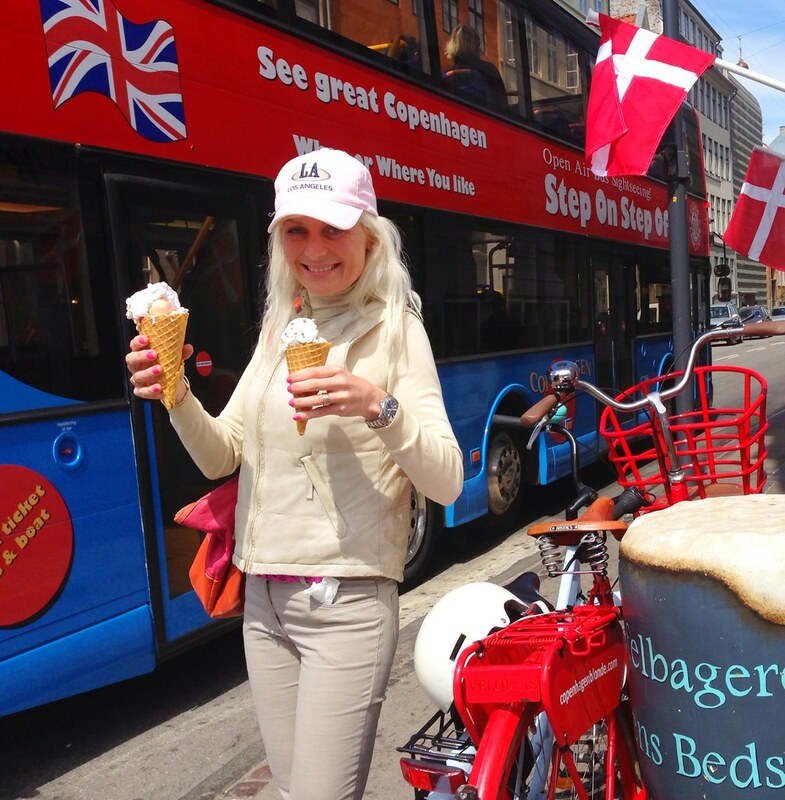 … it’s weekend, the sun is shining - well, they say it will on Saturday - you want to enjoy Copenhagen, so what do you do? 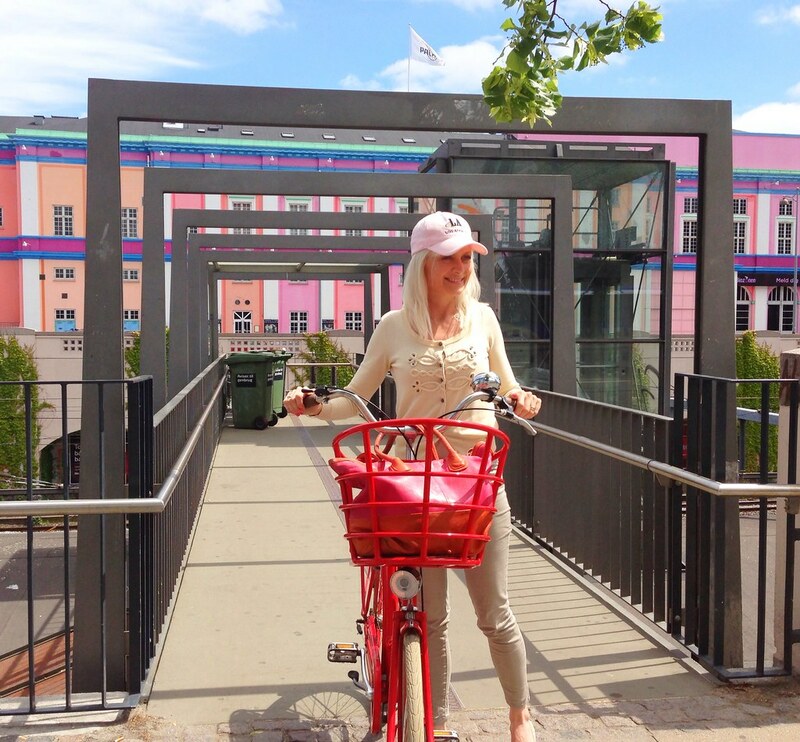 Hey Friend, do what I did last Sunday; grab your bike and head for Copenhagen Vesterport Station! It’s possible to carry my bike up the stairs, in a special side slide. But I’m lazy, so I take the elevator… Notice the candy colored Palads Theatre in the background – love it! The reason why I choose to step off at Vesterport is I’d like to bicycle through The Latin Quarter. 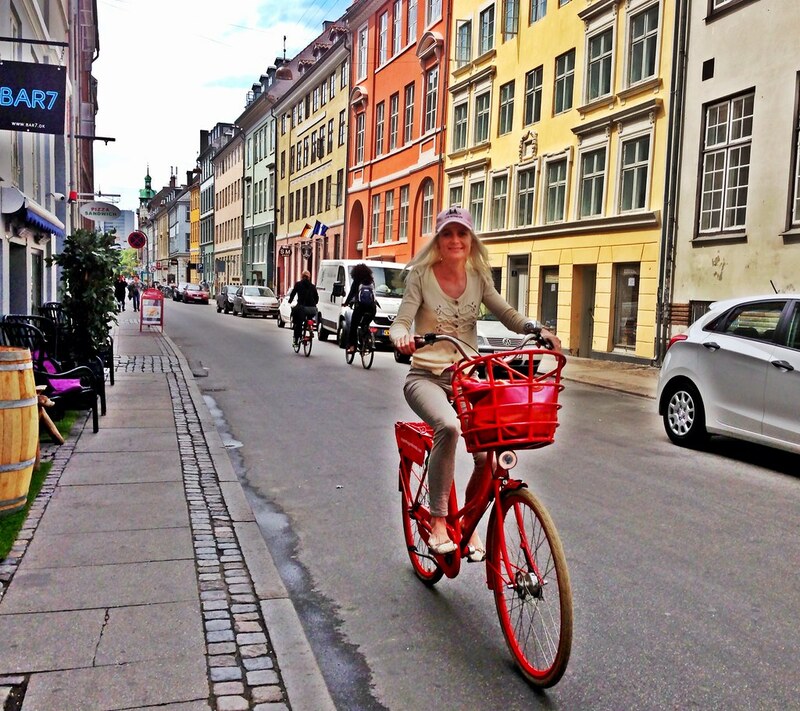 Here’s always exciting people & places to see – here I am in Studiestræde. Already in Nyhavn! Saying hi to Mr. Muffin. 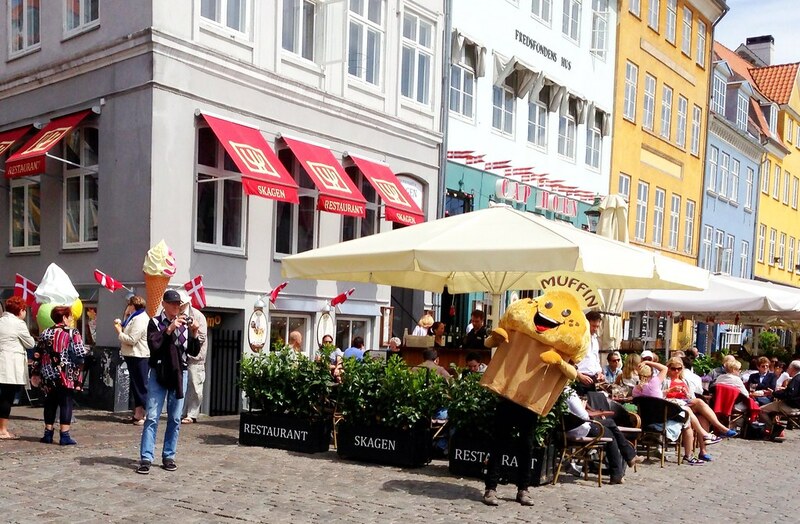 Maybe the best ice cream in Copenhagen? You take care, happy bicycling out there!